It’s taken a while to write this love letter. 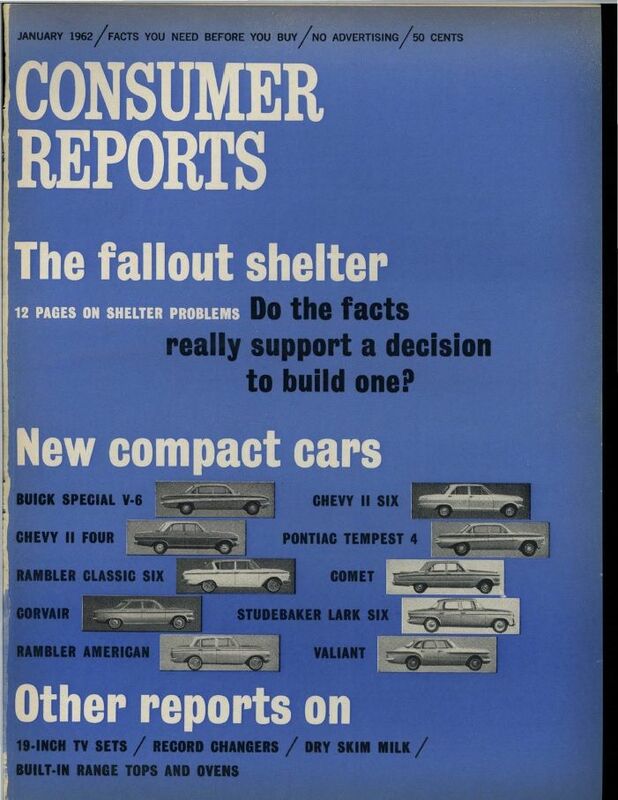 Consumer Reports has for 80 years now provided its readers with solace from the fear of getting it wrong. Its slogan, “Smarter Choices for a Better World,” says it all. Who doesn’t want to make smarter choices? And when it comes to consumer products, who doesn’t want to get a deal—or at least not screwed? When an entire display wall at the Walmart gives you 148 different plaque and tartar removal toothpastes, when your kitchen remodel is stuck between electric smoothtop and pro-style dual-fuel ranges, when you wonder whose frequent flyer programs give the best discounts? Consumer Reports, that’s who! Who else knows that you might get a lower fare if you try clearing your cookies, or that some smoothtop burners are now getting better than gas? Who else prides themselves on the beautiful, objective accuracy of research? In an age of savvy marketing and instant-gratification consumers, Consumer Reports puts me in the warm embrace of cold, hard facts. Maybe I sound old–maybe I’m preaching to the converted. I hope you already subscribe! But if I’m not, let me tell you some tidbits I’ve gathered in the past year or so. When putting silverware in the dishwasher, it is best to place forks tines up and spoons bowls up, so that they have more exposure to the spray of detergent. Knives, though, go down (to prevent injury, obviously). Buying a new mattress is a haggling affair—and the best time to buy one is in the fall. When looking for a cheap flight, keep looking once you’ve purchased! Airlines are required by law to refund a flight within 24 hours of its purchase. Inkstains on a shirt are no match for Amodex and an old toothbrush. When buying peanut butter, look for a “dimple” in the bottom of the container: a tell-tale sign the manufacturer is skimping on the amount of product they used to include. Your prescription medication could cost you 200 dollars less in one store versus another…in the same city. According to Consumer Reports, independent, mom-and-pop stores win out over places like CVS or Rite-Aid. Reading CR is akin to the feeling of being let in on a secret. You are being given cheat codes for your material existence. CR walks you onto the buyer’s floor and provides a guidebook for all the defects and snags you couldn’t see. Even when you’ve gone astray with the wrong product, you are given cheat codes to turn yourself right. To fix it. I know that all sounds frivolous, but Consumer Reports also holds tremendous ethical sway upon industry titans. In their early years, they were some of the first to voice out about big tobacco, child car seats, and water pollution. Today they advocate in Congress and with big industries, about everything from student debt to skeezy nutritional supplements to greedy telecommunications companies. In other words, CR isn’t just about cutesy lifehacks. They instead operate upon the unbiased mission to advocate for consumer security and safety—which is why we love them. They’re the unswerving, vigilante voice of Law, in the arenas of power where we are so prone to abuse. They’re taking it to the man! And helping us pick the best leaf blower! Win-Win! I had a particularly proud “adulthood” moment a few months ago when, on a routine weekend Costco visit, I stopped by the pharmacy aisle and picked up some daily vitamin gummies. A week later, I received my Consumer Reports in the mail, which featured an exposé on all nutritional and dietary supplements—the unrestricted marketing they employ, the health-deteriorating effects some of their ingredients have. I was appalled. I thought I was beating the system! The list could go on: environmental footprints, robocalls, thieving contractors, cell phone radiation, antibiotics. There is certainly an element of Consumer Reports that thrives on the double-vision of the Law: 1) the safety and security it so hopefully proffers, and 2) the fear that need for safety provokes. 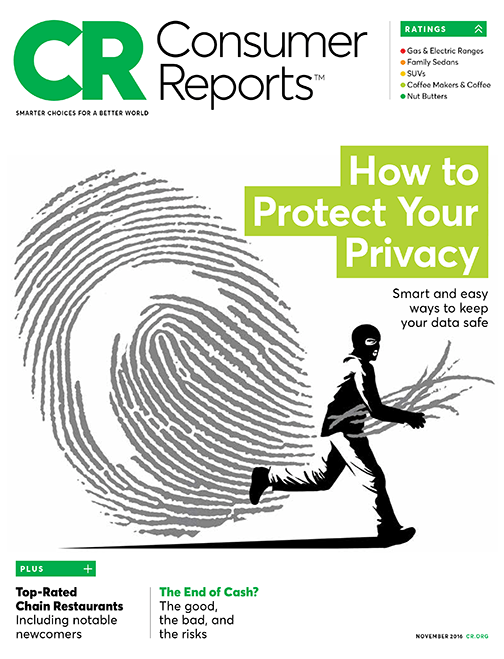 My love of Consumer Reports is akin to my love with the Law–it’s a long, loving relationship with my fear of death, and all my insights and best practices to beat it. CR provides a product-based analogy of what we all seek to do with nearly every decision of our lives—to divide the good from the bad, the pathogenic from the pure, the wheat from the chaff. Of course, Jesus had a thing or two to say about such safety protocols. He couldn’t stomach “smarter choices for a better world.” He didn’t find the measured life any way to live—nor did he think we had any sense of what might be good for us, after all. Moreover, he didn’t seem to think death was the worst thing that could happen to a person. What might be worse, and I’m paraphrasing, is a living person paralyzed by the vita-gummies aisle. To those, wearied by ethical quandaries and DIY home cleaners, he offers safety and security of his own. Still, I have to say, you might want to winterize your lawn mower before long!